In its recently released annual reports, Emirates Group had revenue of US$ 27.2 billion, and it’s 30th straight year of profits at $1.1 billion and will pay $545 million as a dividend to the Dubai Investment Corporation. Emirates Airlines revenue increased 9% to US$ 25.2 billion, while its profit increased to $762 million and this was attributed to strong performance in cargo which offset fuel price increases of 15% during the year. Fuel now accounts for 28% of their operating costs, while staff expenses are 15%. The Emirates Group has 80 subsidiaries and 103,000 employees, a number which declined by 2% in the year. The report notes that there was a 2.2% reduction in flight handled at Dubai’s two airports due to termination of flights between Dubai and Qatar, from the, still ongoing, dispute with Qatar. Emirates carried 58.5 million passengers and received 17 new aircraft, in the year taking its fleet to 268. It is the world’s largest operator of the Boeing 777 and A380 planes and announced new orders for 36 A380’s and 40 B787-10’s. Emirates revenue was from six regions topped by Europe with $7.3 billion revenue, followed by East Asia/Australasia $6.9 billion, the Americas $3.7 billion, and revenue from African routes was $2.6 billion (an increase 8%). In Africa, they fly to 27 destinations and the report notes that their results in Africa were achieved in spite of political instability and currency volatility including massive devaluation in some countries. 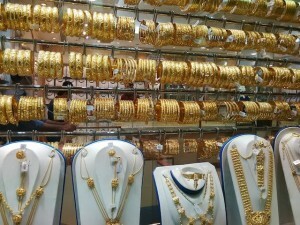 Revenue from the Gulf & Middle East was $2.3 billion, and West Asia/ Indian Ocean was $2.1 billion. During the year Emirates signed partnerships with Fly Dubai and Cargo Lux and extend one with Qantas. Emirates SkyCargo revenue was US$ 3.4 billion (14% of the airline’s revenue) from its freighter fleet of 13 777’s, while Emirates’ hotel’s revenue was US$ 203 million, Emirates also tested the use of blockchain to streamline cargo delivery, digitize their supply chain and eliminate paper usage. Dnata, a separate entity in the Emirates Group, had its best year yet with $3.6 billion of revenue and $359 million profit. Dnata serves 300 airlines in 35 countries and its international business which included handling 3. 8 million tons of cargo and serving 55 million meals during the year, now accounts for 68% of its revenue. Dnata acquired AirLogistics in the US, signed deals to do ground handling in New York, and maintenance in Singapore and had other expansions in Europe while creating two new travel reservation systems. This entry was posted in Boeing, Dubai, emirates, globalization on May 14, 2018 by bankelele. Technology will continue to offer great opportunities for millions of unbanked people including groups of women, Muslims and governments in Africa, Middle East and South Asia (MEASA) and new companies who design financial services in these space. Findings Gaps in financial services present an opportunity for financial companies—both traditional and non- traditional players. Blockchain has the potential to change the financial architecture in MEASA, particularly for banking. New business models are being developed to reach the “missing middle” of retail investors and medium-sized businesses. Governments and regulators have a crucial mandate to drive financial innovation. It notes that there is a prevalence to use cash in the three continents (to receive wages, pay school fees and for utilities etc.) and that current regulations which require the use of ID cards are a barrier for women who need ID cards and other documents to receive these services. The 3 billion people on the three continents will be a source of demand and supply for better financial services, and governments have a role, regulators should balance prudence with innovation, and financial service providers should collaborate for everyone to benefit. There are opportunities for wealth and private equity funds and individuals (through crowd-funding) to support the growth of new players to take on financial sectors such as insurance, whose levels of penetration can be increased through the mobile phone as has been seen for banking and Islamic financing, by promoting sharia-based products, more than ‘sharia-compliant’ ones. Technology has the ability to address financial exclusion and scale services to millions while reducing costs and creating new revenue models; this can be through smart data to improve credit scoring models and the use of bitcoin to replace money transfers (with banks and currency conversions to international dollars). This entry was posted in Dubai, Economist, Fintech, Kenya economic growth, Kenya ICT, shariah banking, SME solutions and tagged AfricaRising, financial inclusion, fintech on October 19, 2017 by bankelele. Kenya has two other fully Shariah banks – Gulf African and First Community who have been operating for just over a decade now. Other large banks also offer Shariah/ Islamic banking products and services including Barclays, KCB, and also at Chase Bank. There are also insurance companies, and recently financial products like ETF’s and bonds that are Shariah compliant. 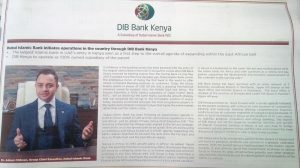 DIB has no relationship or association with Dubai Bank Kenya that was placed into liquidation by the Central Bank of Kenya in 2015. This entry was posted in CBK, DIB Kenya, Dubai, shariah banking on June 9, 2017 by bankelele. 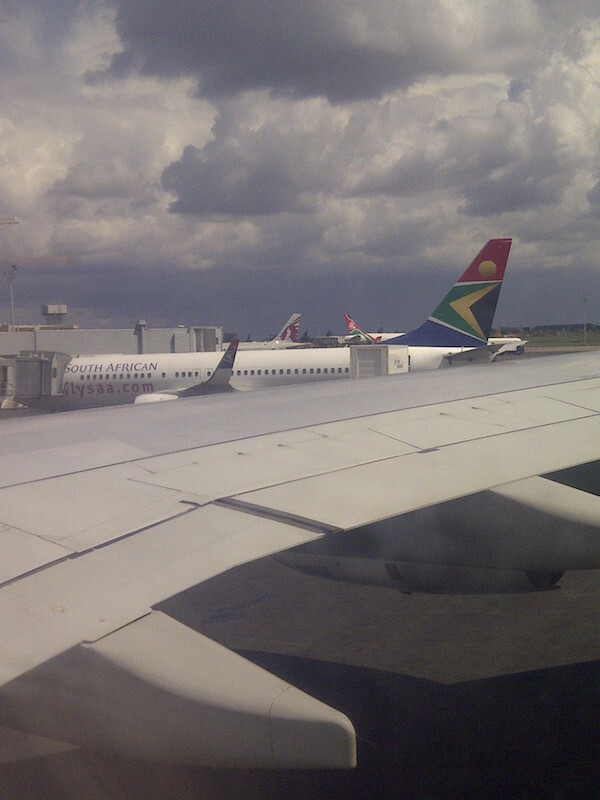 But what does Africa mean to these and other airlines? How does Africa impact these airlines financially? For some it’s clear, but for others, it’s difficult to judge as many carriers lump their (tiny) African operations with Middle East and South Asia. Also, many airlines are state-owned and do not disclose investor levels of information that is useful for comparison. A recent Qatar Airways financial report notes that the aviation industry in Africa is still in its early stages of development meaning that the continent is poorly served by its own national airlines. But alongside traditional extraction of natural resources, manufacturing, tourism and infrastructure investments are rising, which bodes well for the future economic and political stability of the African continent. Increasing air-connectivity between Africa and the rest of the world will drive economic growth. Another one from Ethiopian notes that jet fuel is 21% more expensive in Africa compared to the rest of the world. Air Algerie: Flew 5 million passengers on 56 aircraft. British Airways: Flies to 16 destinations in Africa. Chinese Airlines: Have only recently started flights to Africa, and travel between Africa and China is mainly by African airlines and the gulf carriers. Of the six state-owned airlines, Air China flies to Ethiopia and South Africa, while China Southern flies to Kenya. Egypt Air: Their report notes that African airlines not able to achieve adequate load factors except on a few routes and the airline operates in a territory that has lots of disruptions, cancellations, and flight & route changes due to security. The state airline comprises an international airline, a local airline, industrial training, ground handling, medical, in-flight catering, and other arms. It had 2015 revenue of 17.7 billion pounds (~$2.5) billion of which 7.5 billion pounds was from airline passenger flights in which they carried 7.4 million passengers (plus another 1.2 million in the sister domestic airline). 52% of their revenue is from the Middle East was 52%, followed by 21% from Europe. No number is given for ‘Africa’ but the report notes that African revenue declined 25% from 2014. Emirates: Now flies to 154 cities in 83 countries. In 2016, revenue from Africa was 9 billion AED (~$2.5 billion), a 3% decrease from 2015. Africa accounts for 11% of Emirates overall revenue of their 84 billion revenue. 29% comes from Europe, 27% from East Asia, 14% from America, and they only get 10% from the gulf & Middle East – a truly international airline. Also, Dubai Tourism statistics show that only 5% of visitors to Dubai are from Africa, led by Egypt (239,000) and Nigeria (139,000). Emirates get 32% from travel services, 27% from UAE airport operations, 20% from international airport operations, and 18% from catering. Ethiopian Airlines: Flies to 49 destinations in Africa. It had 2015 revenue of 49 million birr (~ $2.1 billion) and 3.5 billion birr (~$160 million) profit, and is one of the few consistently profitable airlines on the continent. They have huge investments in Asky Airlines (ECOWAS airline based in Lome that flies 10 000 passengers a week to 22 destinations in 20 countries of West and Central Africa) and Malawi Airlines. Another post mentions that Ethiopian Airlines has proposed a joint pan-African airline for the under-served Southern and Central Africa regions to the governments of Zambia, Zimbabwe, Uganda, Rwanda, Namibia, DRC and Botswana. Etihad Airways: Own 40% of Air Seychelles and flies to 166 destinations using 120 aircraft (2014). Has 49 code-share partnerships including with Kenya Airways, South African, and Royal Air Maroc. Their 2014 revenue was $7.6 billion, with a profit of $73m profit (no further breakdown). Kenya Airways: In 2015, 49% of its Kshs 110 billion ($1.2 billion) revenue was from the rest of Africa (down from 52%). 22% was from Europe, 19% from Asia and 10% from local flights in Kenya. So is KQ’s dependence on Africa is a drawback? Lufthansa: Flies to 17 destinations in 14 countries in Africa. In 2015, it had 583 million euros (~$608 million) of revenue from Africa (unchanged from 2014), and this is about 2% of their overall revenue. (Air) Mauritius: In 2015, had 490 million euros of revenue (about $600M) and a net profit of 16.5 million euro (compare to a loss of 24 million euros the year before) They carried 1.5 million passengers and flew to 23 destinations. Europe has been their main market (34% of revenue) followed by Asia 32% (they have the largest Asian network of any African airline). In Africa, they fly to 6 destinations, and 29% of their revenue is from a combined Africa/Middle East/Indian Ocean zone, earning 39.5 million euros ($49 million). The flew 247,000 passengers in Africa, a 10% increase. Qatar Airways: Flies to 26 African destinations (our of 150 total) and plans to add more in Africa and India which they expect will be the largest growth markets in the near to medium term. In 2016, they carried 26.6 million passengers. South African Airways: Generated 589 million rand (~$42 million) from its African routes and notes that Africa continues to have strong underlying growth. They had a fleet of 50 aircraft in 2016 and are trying to grow a hub in West Africa. TunisAir: Flew 2.7 million passengers in 2015, which was down from the average of 3.7 million they have carried in past years. Some of this can be attributed to curfew hours and increased security. Turkish Airline: Got $826m from African sales in 2015 (a 9% decline from 2014). Africa accounts for 8% of revenue and passenger volumes and they fly to 48 destinations in 31 countries on the continent using a narrow body i.e. 737 fleet of aircraft. Turkish Airlines sells 10,000 tickets per day in Africa. This entry was posted in Dubai, Ethiopia, Kenya Airways, Kenya economic growth and tagged African Aviation on January 7, 2017 by bankelele. 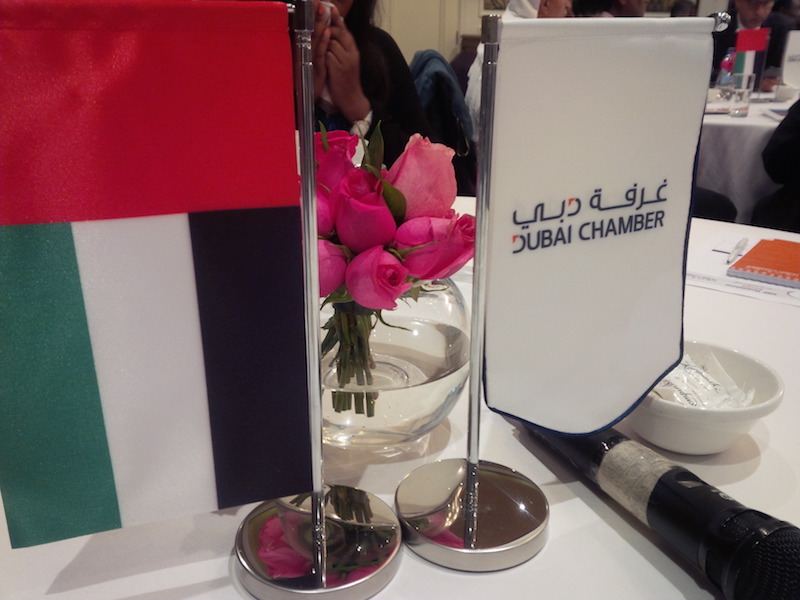 There’s a delegation from the Dubai Chamber of Commerce & Industry in Nairobi this week and they were hosted by the Kenya National Chamber of Commerce and Industry (KNCCI). The Dubai Chamber announced that they will open a representative office in Nairobi, their fourth in Africa, after Addis, Accra, and Maputo – to do market research, discover opportunities for partnership and value addition, support Dubai businesses in Kenya and give Kenyans information about business opportunities in Dubai. Kiprono Kittony said Kenya imports about $900 million from Dubai and exports about $300 million. He said that some challenges of business in Kenya include double taxation between the counties, infrastructure to the counties, corruption, but that he saw endless trade opportunities for their 14,000 members in 45 counties. Naushad Merali said that when he first went to Dubai in 1982, it was smaller than Mombasa, but it had since transformed, thanks to Sheikh Mohammed’s leadership. 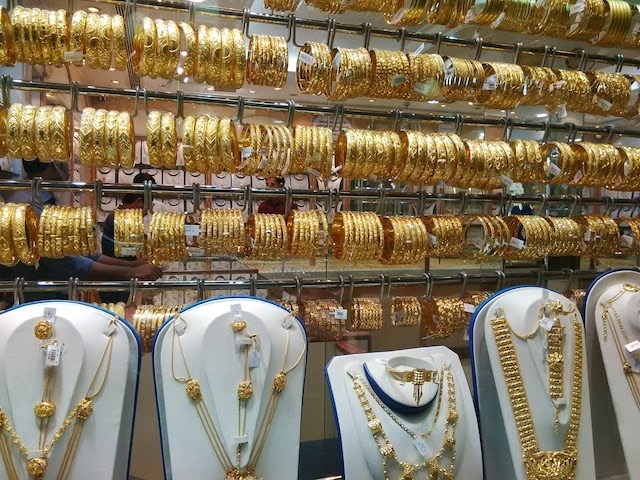 He said Kenya was one country with a stable currency and Dubai investors would not have to worry about moving money in and out the country – and that while manufacturing was difficult due to dumping from Asia, the advantage was if you were doing agro-business, especially of things that are grown here. A Stanbic bank executive said they were the largest bank in Africa said they were ready to finance projects in infrastructure energy, renewable energy, tourism, electricity transmission etc. – and that while banks are able to do projects of $25 – $ 60 million, with larger than $100 – $200 million, ones there was need to syndicate across borders. Hot button issue. Kittony also spoke of Kenyan flowers that go to Amsterdam and then get re-shipped to Dubai. 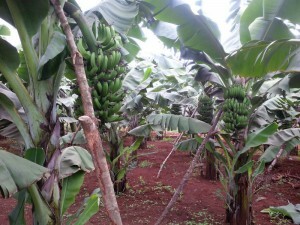 He added that Kenya had developed a disease-free livestock belt that could export to Dubai and the Gulf states (GCC). Someone else said that there are only 5 Kenyan fresh products on Dubai supermarket shelves (including mango and avocado) out of a potential 70 others, and lots of fresh stuff is sent to Europe where it is repacked and relabeled before being shipped to Dubai. While someone else said the lack warehouses and charter flights from Mombasa and Eldoret were the problem, another said that there were 14 Emirates flights a week, along with others from Kenya Airways and Etihad (and Qatar) – so flights were not the problem. Another said that Kenya had simply not marketed itself fully to Dubai in terms of what it could produce and export and get to Dubai via a 4 hours flight or a 12-day ship ride. 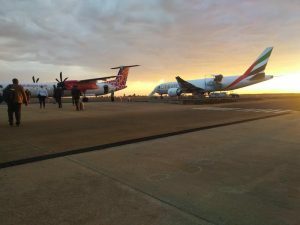 Kiprono later lamented that flights flew into Eldoret, full of cargo, and flew out largely empty – while they could carry flowers, coffee, bamboo and other things. This entry was posted in Agriculture, Dubai, emirates, Horticulture, Investing in Kenya, Kenya economic growth, Stanbic and tagged Dubai on October 5, 2016 by bankelele.